← Walsall planning appeal shock! 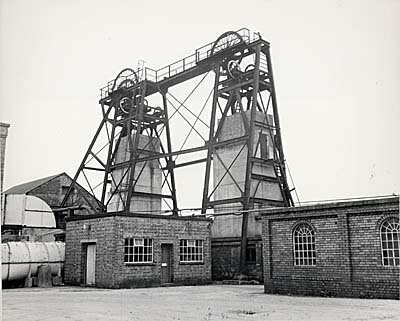 Silverdale coalmine, Newcastle under Lyme. The pit that Levi left to join the Army in 1892. Picture supplied by David Evans. 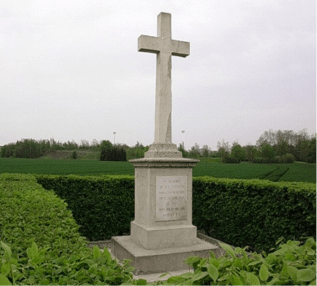 Last weekend, with remembrance week approaching, I featured the first part of a personal family history, written by top reader and contributor David Evans. This is an achingly personal, sad account of service in the First World War, and the privations and carnage Levi survived are almost inconceivable today. David has done a splendid job, including selecting all the images, and I’m sure the readers will join with me in thanking him for his hard work, excellent writing and diligent research. It’s a joy and privilege to be able to share such material on the Brownhills Blog. Levi joined the 46th Division, a Territorial Force, and was re-assigned to various regiments . There was, indeed, a shortage of materials, trained machine-gunners, and equipment. A battalion only had two machine guns each at the beginning of the war. Levi again saw action; awful, bloody action, at the Battle at Hooge, near Ypres, in July 1915, where the German Army used liquid fire ( flame-throwers) for the first time in warfare, and vast underground mines were dug by the British army and filled with explosives. The fighting was fierce; the casualties were many. 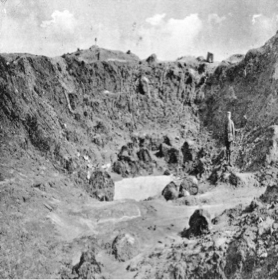 The crater at Hooge; still visible today. Picture supplied by David Evans. In these battles in Belgium and North France the machine-guns were carried by hand to their firing-positions. 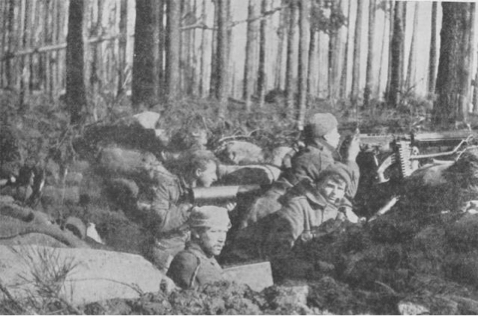 A machine-gun crew in action at Hooge. Picture supplied by David Evans. Levi then saw action in a part of the ‘Forgotten Front’. 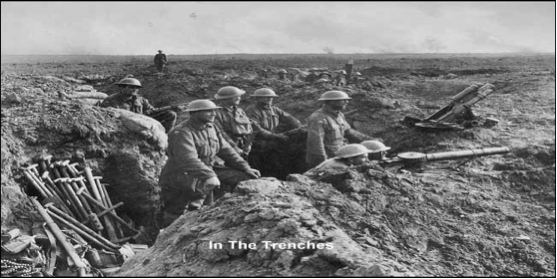 The Western front extended a long way to the south from Ypres, to the coalfields near Bethune and Lille, where the first trench war battle took place, at Vermelles, part of the Loos offensive. Here Levi, the machine-gunner, was called to service yet again. Machine-gunners, like messengers, were “top targets” . Their training including throwing grenades and hand-to-hand fixed-bayonet fighting. Picture supplied by David Evans. Allied losses in these battles were horrendous. 5,000 killed in action at Vermelles in two days of fighting following an ineffectual bombardment, and 15,000 killed at Loos, in October 1915. By strange coincidence, Loos pithead1915... The view Levi had from the trenches before the battle of Vermelles , 1915. Picture supplied by David Evans. Levi witnessed all 1,000 of his Punjabi Indian comrades in his section killed in one morning’s advance to the German lines. Sadly, little remains of these battlefields to mark this deadly section of the Western front of the First World War. 46th Division Memorial, near Vermelles. Picture supplied by David Evans. Later in October his Levi and his section were transferred to another battle where the machine-gunner took part on the diversionary attack on the Hohenzollern Redout, , near Loos. in October 1915. The carnage was horrific. The attack was unsuccessful. Image taken in a captured blockhouse during the Hohenzollern attack, October 1915. 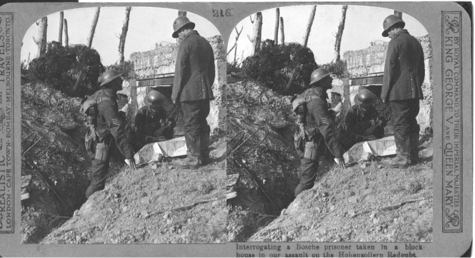 'Interrogating a German prisoner' Stereograph black and white slide. Picture supplied by David Evans. Levi was involved, yet again, in another battle. 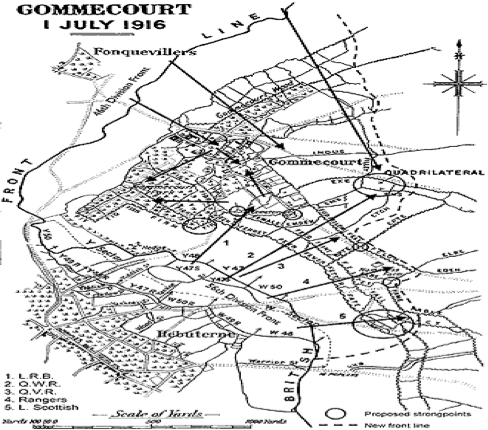 This one may be better known… The Battle of the Somme, where, on 1st July 1916 his section took part in a ‘diversionary’ attack at Gommecourt. His section , the 1/6 battalion the North Staffordshire regiment, was part of the 46th Division Front, which attacked from the North-West, as seen in this plan. Image supplied by David Evans. His battalion had been sent to Egypt in Decelmber 1915, but only for a month! He and his comrades were quickly returned ‘to theatre’, following the failure of the Gallipoli Campaign, and the pressing need for troops on the Western Front, which had descended into a static, largely ineffective war of heavily-defended defensive position being attacked by infantry troops. Gas attacks, and even mines, were of limited success. Levi’s wartime service continued in France, with successful capture of the Hohelnzollern redoubt defences in March 1917, the battles at Lievin , Cambrai, and Sombre in 1918. He was demobilised at the end of the war, in 1918. 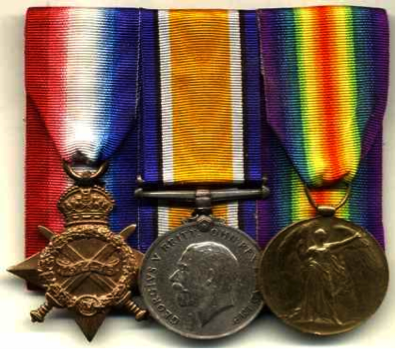 Levi's medals. Picture supplied by David Evans. He had gained a few medals, and had lost countless comrades.Levi had seen gas attacks at first hand, had witnessed barrage shelling. :evi had witnessed, and had performed the withering deadly machinegun fire. He had met Kitchener again and was recognised by him, from their time in the Sudan. He took to drink. He became a regular at the Red Lion pub in Walsall Wood, and he spent his final years in Stafford Institution (the Workhouse) where he died in 1938. I wish I had known him. He was my Great Uncle Levi Cooper. This entry was posted in Brownhills stuff, Events, Features, Local History, Local media, Reader enquiries, Shared media, Shared memories, Social Media, Walsall community, Walsall Wood stuff and tagged Brownhills, Brownhills local history, David Evans, Dongola, Forgotten Front, Gommecourt, Kitchener, Levi Cooper, Local History, Loos, Malta, Maxim machine gun, River Nile, Silverdale, Staffordshire, Staffordshire regiment, Sudan, The Somme, Walsall Wood, Whittington Barracks. Bookmark the permalink.